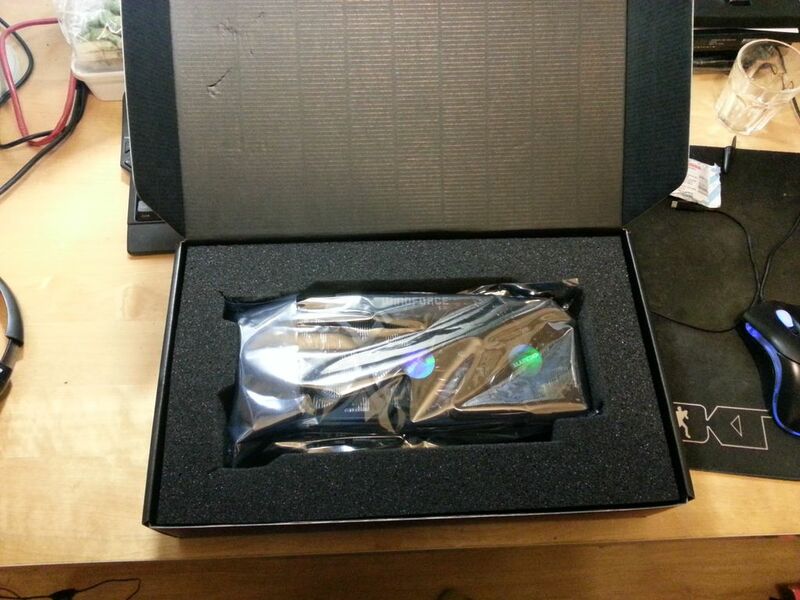 Its 2014, and that means I’ve begun the long overdue process of upgrading my gaming PC. First I’ll review the current setup, before looking at recent developments and future purchases. Things have been quite busy in the last few weeks. I’ve spoken in previous articles about the outdated system I currently own. It’s based on pretty old hardware, relative to that available today, and has been a soldier until recently when I started to have video card issues. 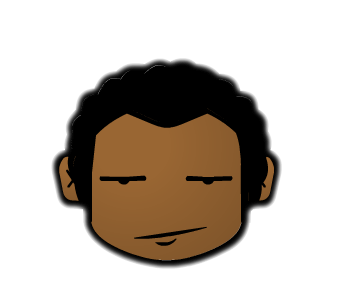 So, what has changed so far? There is a lot of room for improvement here in terms of upgrade potential. 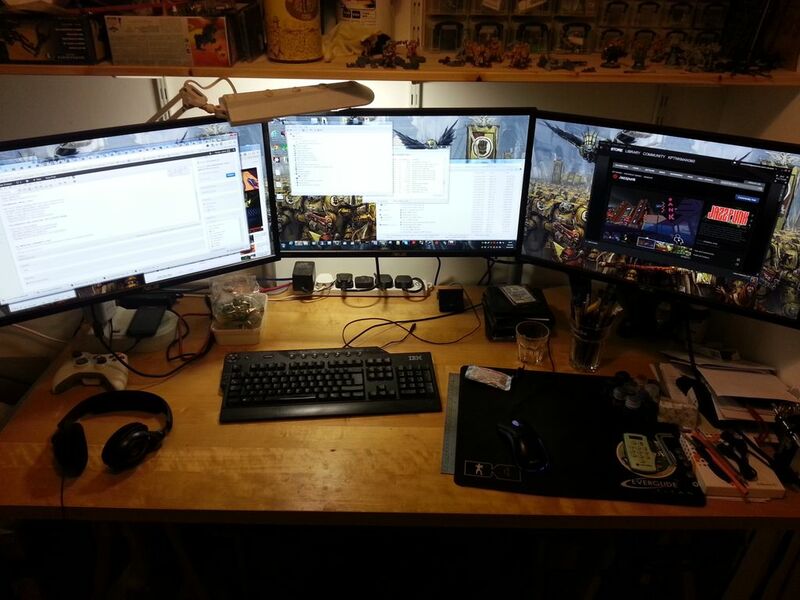 Firstly, I’ve invested in 3 identical 24 inch IPS monitors. Let me say these monitors are a great purchase! They are perfect for a triple monitor setup, as they have a 1cm bezel and have brilliant colour, brightness and viewing angle thanks to IPS. 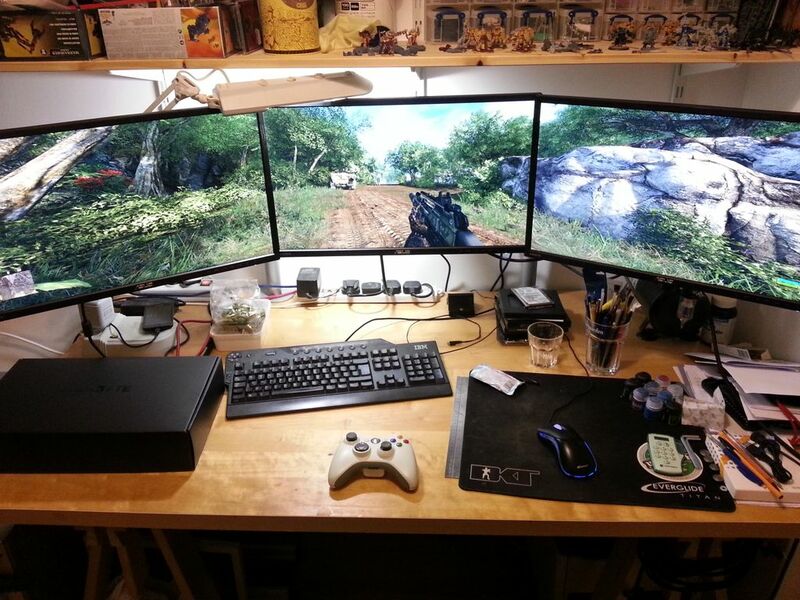 These things all add up to a perfect scenario for TRIPLE MONITOR GAMING! 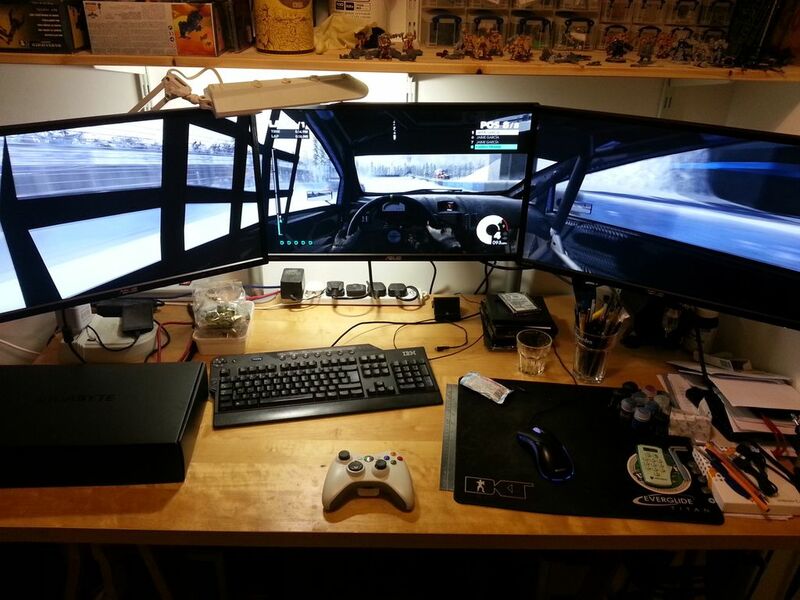 Oh yes, Eyefinity is awesome in this setup! I’m also very impressed at how well my old 5870 runs games at high detail on 3 monitors at a massive 5760×1080 resolution! Below are a few pics running a few games in Eyefinity. Well, thats the monitors out of the way, and these will last me many years. 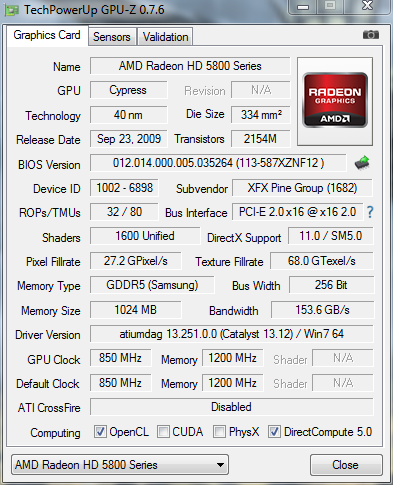 Next, was the final biggest single purchase of a new graphics card to drive all of this. 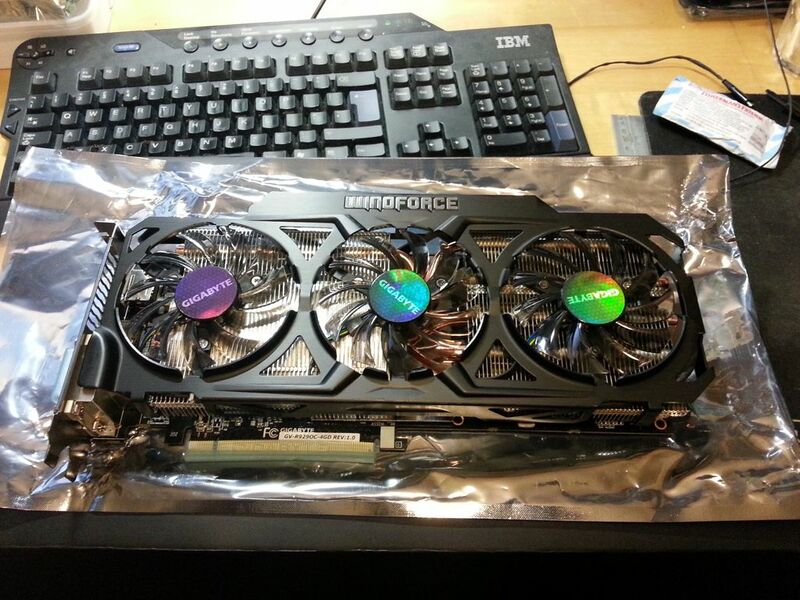 On this particular subject, I’ve had some scepticism as to whether it will be worth purchasing a high end card earlier or later in the total upgrade process, but since my current video card is playing up and the new card will scale up with a newer CPU, I thought to go ahead and purchase it. 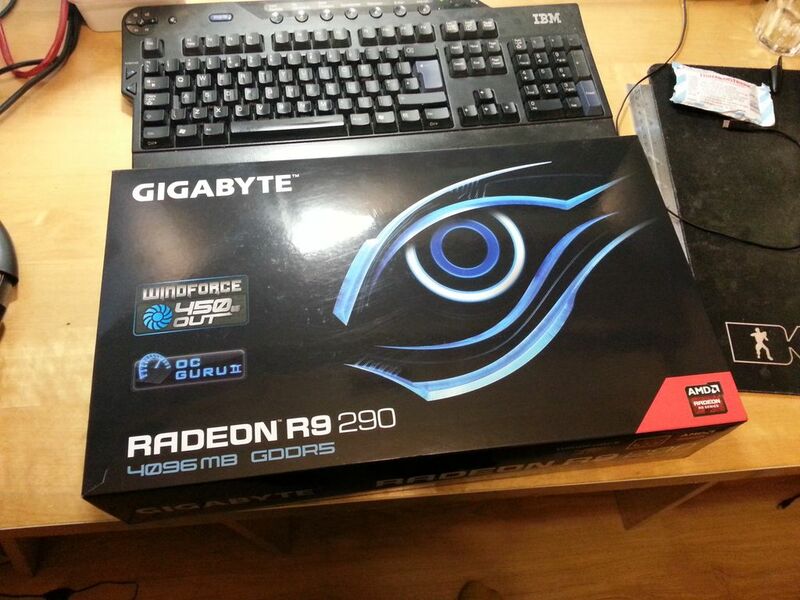 In the end I got the new AMD Radeon R9 290 made by Gigabyte, the GV-R929OC-4GD. At the time of writing this I’m still due to install it, as it just arrived today, but I’ll update later with findings. Here are a couple of pics of the card. This entry was posted in Projects, Tech. The Scientific formula of relationships?